Posted byadmin	 10. February 2015 Leave a comment on Does Creatine Really Help Build Muscle? If you are a gym rat or bodybuilder or simply interested in beginning an exercise program you have probably heard a lot about creatine and the muscle miracles it performs. Unfortunately, most people believe that creatine helps build muscle and it does in a way, but probably not the way you are thinking. 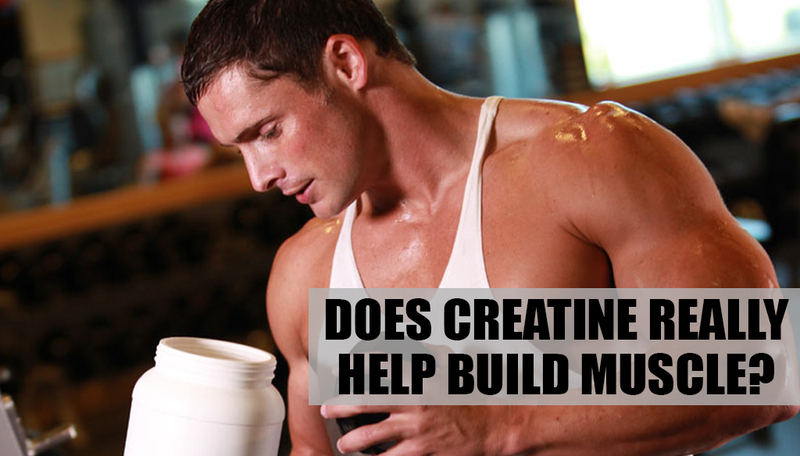 The best way to describe creatine is to say that it helps the muscles help themselves build muscle. If that is not clear enough, continue reading. Creatine does exactly what it claims to do and that is to retain water in your muscles. This is the point of creatine and it really is effective at keeping water in the muscles. Now, what happens is when your muscles are retaining water they are in an optimal state for building new muscle. As a result, when you take creatine and water is retained in your muscles then when you weight train you will get more of an effect because your muscles are better capable of building muscle. After this period you may develop more strength and increased endurance as well. So, if you are taking creatine to help you build muscle and you understand what creatine does and how it helps you build muscle then you will not be disappointed. On the other hand, if you are taking creatine and hoping it will simply grow you bodybuilder’s muscles without putting in the work then you are mistaken. The best thing to do is begin taking creatine and working out with weights on a regular routine or even with a trainer. By taking the creatine your muscles will be poised to grow and get stronger while building endurance. However, keep in mind you have to put in all the hard work and that all creatine does for you is helps your muscles retain water in order to be in a state where building muscle is easier. Over time you will see your muscles growing and should not see any loss of definition because of the retained water in your muscles. Don’t become confused about creatine building big muscles; it just helps your muscles build themselves stronger and better when you put in the work.